Stephen Hawking’s enormous contributions to modern scientific knowledge were manifold. His passing leaves a great void in the scientific community, and also in the whole of humanity. He revolutionized the popular awareness of physics, black holes, galaxies and the universe, while responsibly demonstrating the power of the scientist over the masses. Dr. Hawking was not shy of publicity, but used his fame to inspire and incite curiosity in people. “Scientists have become the bearers of the torch of discovery in our quest for knowledge,” he said. Often writing and speaking critically about current issues including politics, Dr Hawking shared his dismay about the present condition of the world due to human intervention. “We are in danger of destroying ourselves by our greed and stupidity. We cannot remain looking inwards at ourselves on a small and increasingly polluted and overcrowded planet,” he said. This is one public life which demonstrated clearly the end goal of scientific knowledge is not the accumulation of more stuff, or fame, or comforts, but real compassion, humaneness and joy. He was so human—brilliant—yet so warm, humourous, and down-to-earth. His incredibly vast knowledge about the universe was perhaps the reason for his humaneness, for he had attained a wide vision about how things all fit together—in himself and in the universe. Not only that, but Dr. Hawking was a rare example of living proof of the power of the mind and intellect over the limitations of the physical body. He was never held back by his disability and instead chose to focus on what he could do, rather than could not. 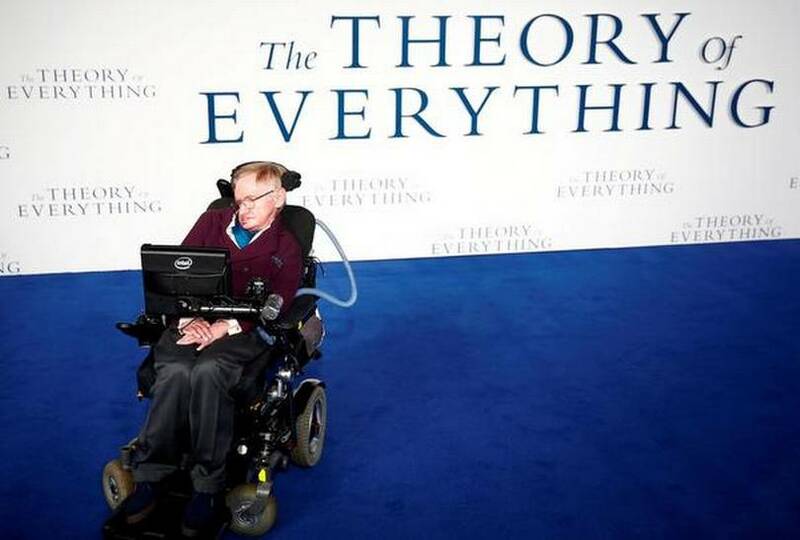 His lifelong quest to find a Theory of Everything—which would merge knowledge of things on the grandest scale (cosmology and Relativity) with knowledge of things on the smallest scale (particle physics and quantum mechanics) is perhaps the area where he will be most sorely missed by us at the GEP Research Centre. We lament that we never had the opportunity to introduce our Theory of Everything to him (the “I Theory”), to demonstrate how the smallest particle is linked to the largest scale of the universe, and also to the innermost core of the individual: our emotions, intellect, and very life itself. It teaches us that each life is thoroughly logical, but entirely precious--a brilliant light in a shining cosmos. We think he would have liked that.